If you’re looking for a pre-owned vehicle at an accessible price, consider a public wholesale vehicle from Mercedes-Benz of Fairfield. Our technicians perform a safety check on each model to find out what needs to be fixed, then pass on the vehicle to you so you can make plans to service the vehicle on your own time and avoid potential extra maintenance fees. Take a look at our wholesale inventory below, then stop by our dealership near Weston to view your favorite models in person! Our wholesale vehicles were traded in here and have not been reconditioned by us. We've had our technicians do a safety check, and tell us mechanically what it needs, and we pass what they found along to you. 2. Why are we not selling it the traditional way Our reconditioning process may raise the price of the vehicle over other vehicles priced in our area. For some clients that enjoy repairing their own vehicle, or have a long time trusted technician of their own, this a perfect solution. 3. Is the delivery process the same NO, we collect sales tax, but we do not register these vehicles. We hand the title to the client, and mark it not road worthy, creating an absolute AS-IS transaction. The vehicles are to be trailed or towed to your home, and registered by the client. If you’re in the market for a used car to fit your budget in the Westport area, a wholesale vehicle may be right for you. Keep in mind that the delivery process is not the same in this case. We do collect sales tax, but we do not register these vehicles. When you choose your wholesale vehicle, we’ll hand you the title but the vehicle is marked not road-worthy (creating an absolute AS-IS transaction). These vehicles are to be taken home and registered to the client. Have questions or want to take home your own wholesale vehicle? 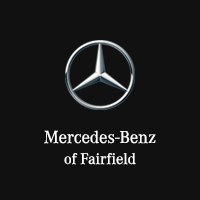 Contact Mercedes-Benz of Fairfield or stop by our Norwalk-area dealership at your leisure to further explore your options!